Reports say women’s voices are being marginalised in the EU referendum debates. Whatever the outcome of the EU referendum on 23 June 2016, it will have a significant impact on the lives of women and girls. The Women’s Equality Network Wales (WEN Wales) is one of many groups concerned by reports that women’s voices are being marginalised in the debates surrounding the EU referendum. As an organisation, WEN Wales does not have a position on whether or not the UK should leave the European Union, but does want to promote healthy discussion about the issues and make sure that women in Wales have the information they need to make up their own minds about how to vote. Analysis by the University of Loughborough has shown that men have received 91 per cent of EU Referendum coverage in newspapers and 84 per cent of the coverage on broadcast media. Yvette Cooper MP has called the debate “male and stale” and there is evidence that this aggressive, male-dominated approach is off-putting for women. Both the Remain and the Leave campaigns have set up groups for women, but an ICM poll conducted for the Fawcett Society found that the campaigns are failing to engage women. And a BMG poll conducted for the Electoral Reform Society found that men are twice as likely to feel well-informed about the EU referendum than women; 21 per cent of men compared to 10 per cent of women. In an article in Open Democracy John Mortimer, from the Electoral Reform Society, said that this “suggests the campaigns – and the media coverage of those campaigns – aren’t reaching out of the Westminster bubble or targeting groups outside of middle-aged to elderly men”. This is concerning because the more well-informed a person perceives themselves to be, the more likely they are to vote. And as the Fawcett Society said in its post The EU Referendum: “Both sides in the EU referendum debate need to address issues of concern to women and proactively engage them. “So far the debate has been male dominated. In response to these concerns, WEN Wales has produced this list of resources which present the key issues in a way that is relevant to women. WEN Wales hopes that individual women will find the resources helpful and that women’s organisations will use the information to stimulate discussion within their groups and networks. For an excellent general briefing on the EU referendum which has been written for women, please see The Scottish Women’s Convention’s Guide to the EU Referendum. Women In campaign: ‘Women IN’ is a network of women working in Britain campaigning for the UK to remain a member of the EU. It is part of the larger ‘Britain Stronger in Europe‘ campaign. Women for Britain facebook page: Women for Britain is the group representing women, their families and their futures in the campaign for a leave vote in the EU referendum. It is part of the larger Vote Leave campaign. BBC Reality Check: Does the EU guarantee women’s rights? Democratic Audit Campaign: What did ITV’s EU referendum debate say about the role of women in the campaign? Arguments that women should vote to leave the EU. The debates are very passionate on both sides, and this can be confusing. Here are some general resources that aim to provide people with the facts and clarity in relation to the EU referendum. 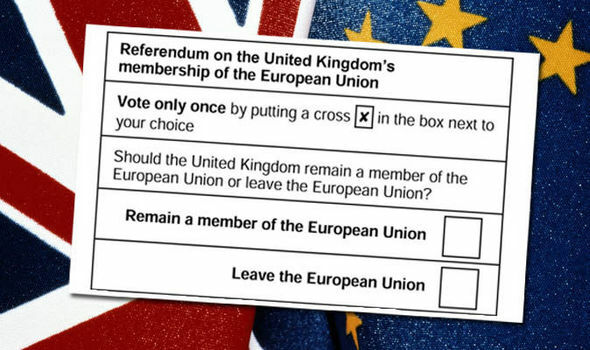 BBC Reality Check: Live fact checking and impartial analysis ahead of the EU Referendum. Fact Check: Channel 4 seeks to find the truth and separate political fact from fiction. And these news sites provide well-researched articles on the referendum: The Conversation and Open Democracy. The situation in Wales is different to the rest of the UK. One of the key issues is funding, because Wales is a beneficiary of EU funds designed to help poorer areas. BBC News: What does the EU referendum mean for Wales? WEN Wales is made up of over 700 organisations and individuals committed to making Wales a safer and fairer place for women and girls. Funded by the Welsh government to unite and build the women’s sector in Wales, WEN Wales aims to provide clarity and a united voice on the serious issues facing women in Wales. A small, dedicated team of staff and trustees provide consultations, events and research, and represent women in Wales at national and international levels. The work at WEN Wales is underpinned by the UN Convention on the Elimination of all Forms of Discrimination Against Women (CEDAW). Visit WEN’s CEDAW page to find out more about CEDAW. To join WEN Wales, click here.